To today's air passenger patiently removing his or her shoes for the third time that day, swallowing overpriced fast food or slumping on chairs of sadistically molded plastic the world of travel depicted in Gordon's lively history will feel like a vanished Golden Age. 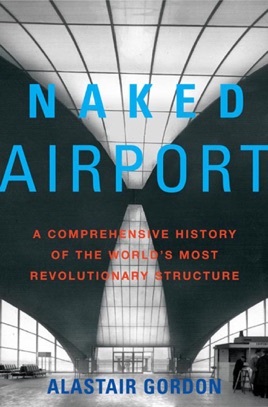 In six chapters and an epilogue, Gordon, contributing editor for House and Garden and Dwell and author of Weekend Utopia, traces the evolution of the airport from the muddy fields of the 1910s to the "sterile concourses" of the '70s with an eclectic range of reference and an eye for detail. By the late '20s, high rollers could tour the capitals of Europe in two luxurious weeks, sunseekers could take flying boats from Miami to Havana in two hours and airports from Buffalo to Berlin's Tempelhof reflected widely varied strains of an optimistic and triumphant modernism. Much of this history is contained in the details of abandoned projects, and Gordon's unearthing of such grand schemes as "Toledo Tomorrow" add immeasurably to his narrative. Smoothly blending cultural and aesthetic history, Gordon's book is also helped by its 108 well chosen b&w illustrations and attractive design. Though the term "airport book" has other connotations, reading Gordon's book might just restore a little of air travel's vanished glamour... until the next checkpoint.